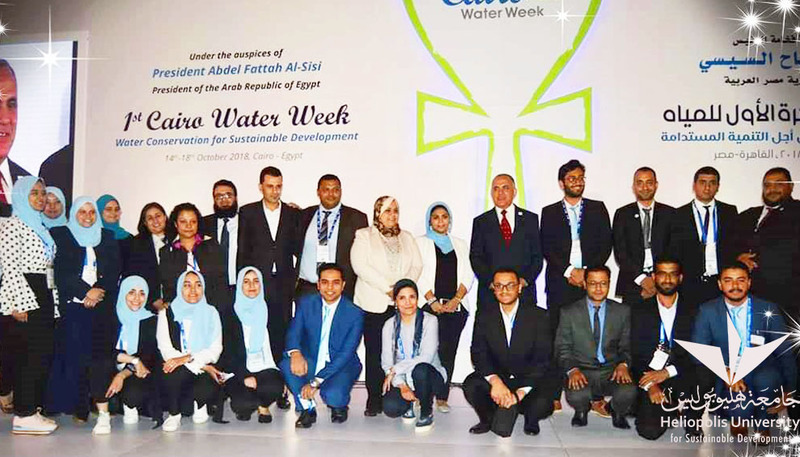 Heliopolis University for Sustainable Development in coordination with the Ministry of Water Resources and Irrigation held a special session during Cairo Water Week that took place from 14-18 October. The session discussed issues related to water, food, and energy. 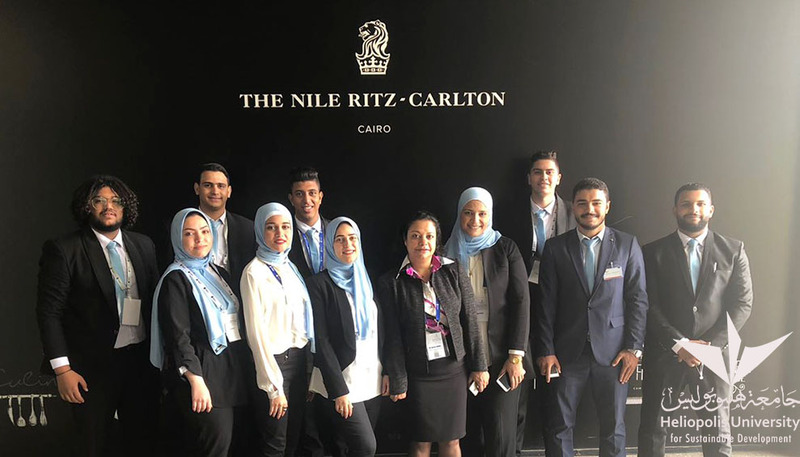 The session was facilitated by Dr. Rasha Al-Kholy, Vice President of Heliopolis University and Dean of the Faculty of Engineering, Prof. Dr. Hani Sewilam – Director of UNESCO Water Chair, Head of Hydraulics Department at Aachen University, Germany, and Member of Heliopolis University Board of Trustees, Prof. Ayman Abu-Hadid – Former Minister of Agriculture, Prof. Mohamed El Khayat – Chairman of the New and Renewable Energy Authority, and Prof. Hossam Shawky – Director of Water Desalination Research Center. 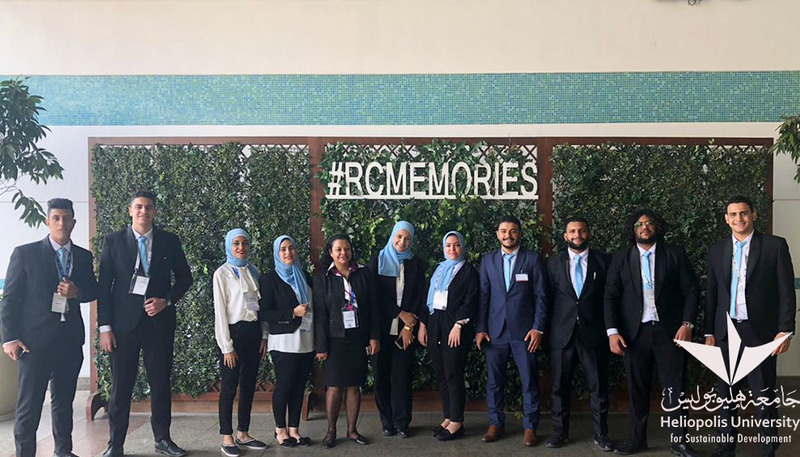 The session aimed to emphasize the role of communities in linking education with applied scientific research, industry, and community service and adopt water, energy and food security methodology at all levels of education, innovation, and research to ensure sustainable development. 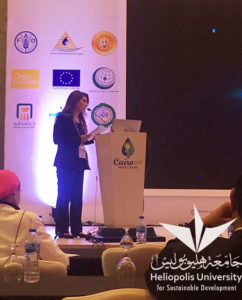 The session was initiated by Dr. Rasha Al-Kholy who introduced the role of Heliopolis University in raising awareness about research and application. Prof. Sewilam then presented the experience of the American University in Cairo (AUC) with MSc and PhD. students using the osmosis system and the multiple applications that made use of the output in agriculture. 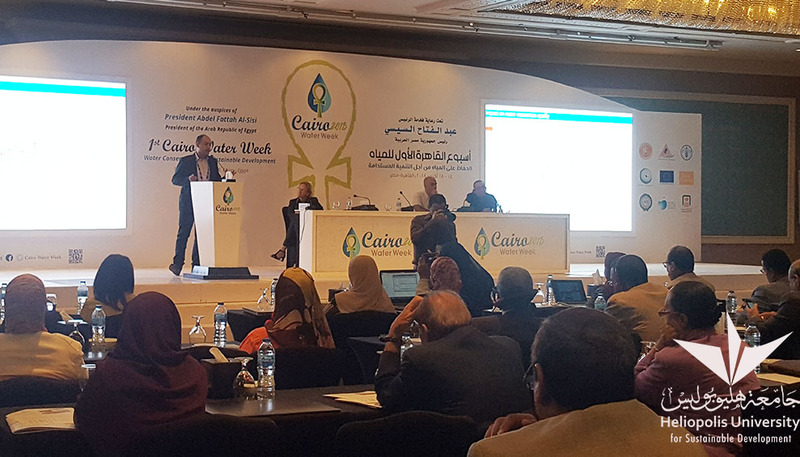 Also Prof. Abu-Hadid spoke about Egypt’s crisis in regard to irrigation water, the climate changes in the Delta area, and the excessive irrigation in some areas. 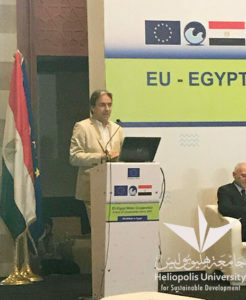 Dr. El Khayat reviewed Egypt’s sustainable energy strategy and its pilot projects. 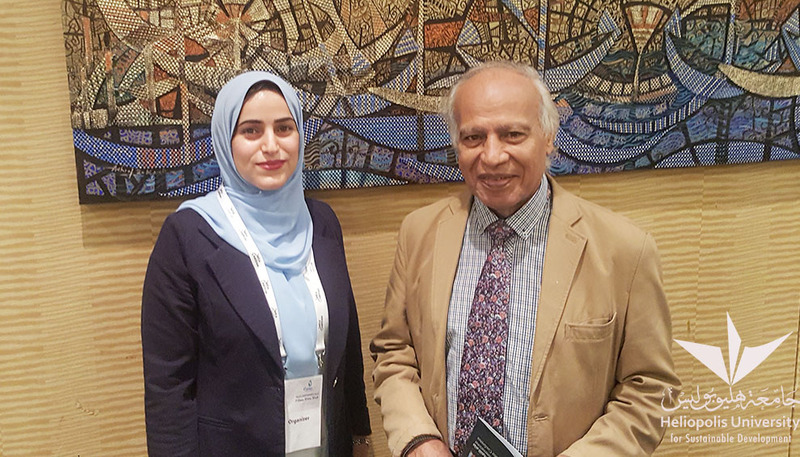 As for Dr. Shawky, he talked about the scientific and research development achieved for the local manufacturing of desalination units and membranes and the use of mobile units for remote areas. The Faculty of Engineering team then started their speeches. 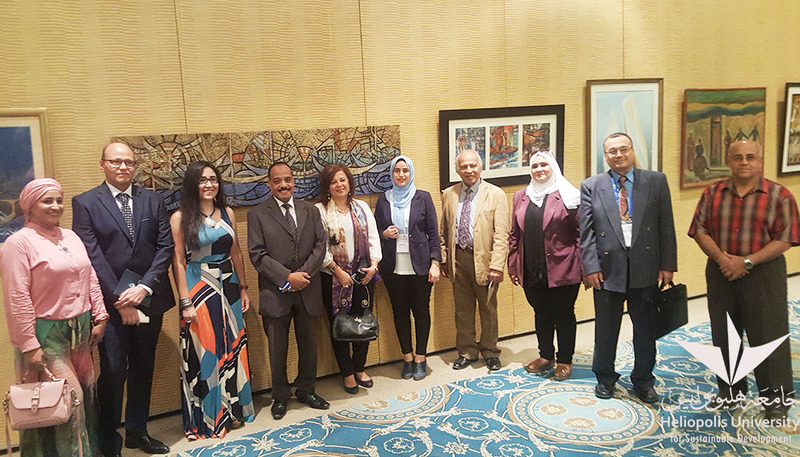 Dr.Tamer El Gohary, Dr. Heba Mosallam, and Dr. Amr Sobhy shed the light on three projects the Faculty of Engineering is currently working on. 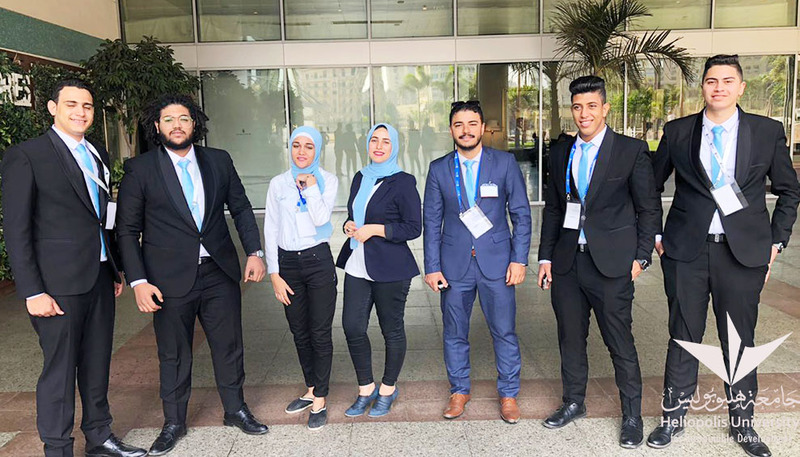 The first project is to connect water and energy systems following Egypt’ strategies, and to implement the first experimental aquaponics using hydroponics, desalination of groundwater, solar energy, and fish farming. 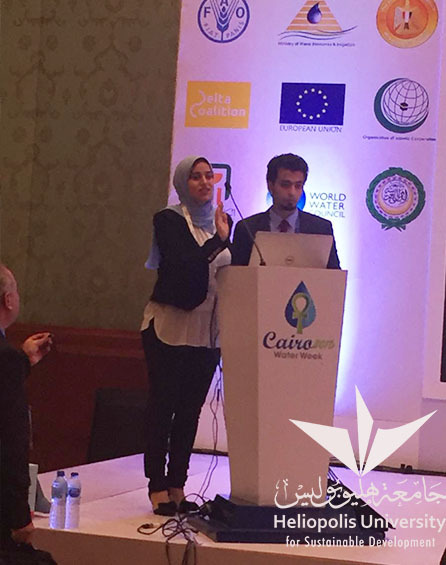 The second project is the use of wastewater in incubation and generation of algae to make therapeutic medications. The third is lifting water in lakes using solar energy. – Reducing energy used in reverse osmosis by applying forward osmosis. – Using agricultural cropping systems to reduce evaporation from irrigation and increasing productivity of the same areas if traditional methods of irrigation were used. – Using renewable energy is insufficient to reduce fuel consumption but to implement energy efficiency in all buildings. – Enhancing training programs and raising awareness are the primary responsibility of different governmental sectors. – Manufacturing of some parts of desalination plants is the coming challenge to overcome water and energy scarcity. 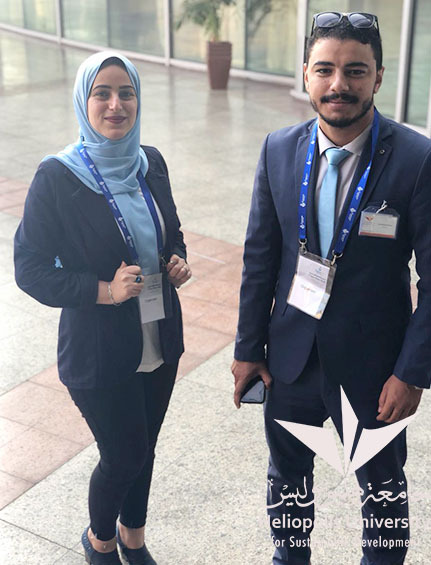 The Faculty of Engineering team including Nesma Rashwan and Mustafa Osama participated in organizing the conference sessions, receiving guests from different ministries and embassies of Arab and foreign countries, and attending lectures.